At a foot and a half long and with details like feathers and other ornamental markings, this tomahawk goes for a realistic rustic look. 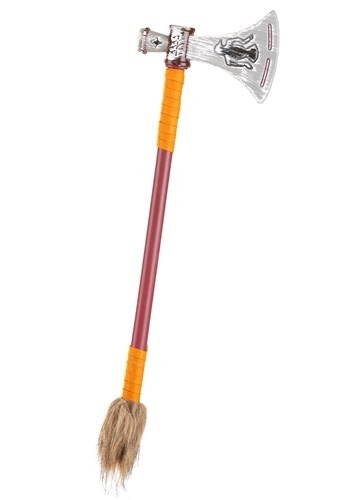 And with its plastic design, you won't have to work out for a month prior to your first adventure with it, because this axe is lightweight and easy to get around with. Because an ancient warrior has to be mobile and ready to go at all times! Still, be careful while playing with this axe toy!